Hyundai Engineering & Construction has dismissed a US$521 million deal for the construction of a petrochemicals complex in Iran. The South Korean firm came to the decision in light of prospective US sanctions in Iran that might hinder financing from Iranian customers. 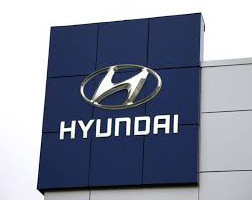 “The contract was cancelled because financing is not complete, which was a prerequisite for the validity of the contract, as external factors worsened such as economic sanctions against Iran,” Hyundai E&C said in its filing. From 4 November 2018, the US will re-impose sanctions against Iranian crude oil exports as part of President Donald Trump’s efforts to force Tehran to accede to a more restrictive deal on limiting its nuclear and missile programs.